Formed in 2011 Viegansong publishes music for children written or arranged by Tim Wiegand. The materials are intended for students in Orff Schulwerk classrooms or performance ensembles. All materials may be adapted for any elementary music classroom. Tim is available to schedule high energy creative Orff Schulwerk workshops. In Tim's workshops it is common to receive engaging, creative classroom lessons as well as some innovative performance pieces for a variety of Orff ensembles. See all of Tim's upcoming workshops! 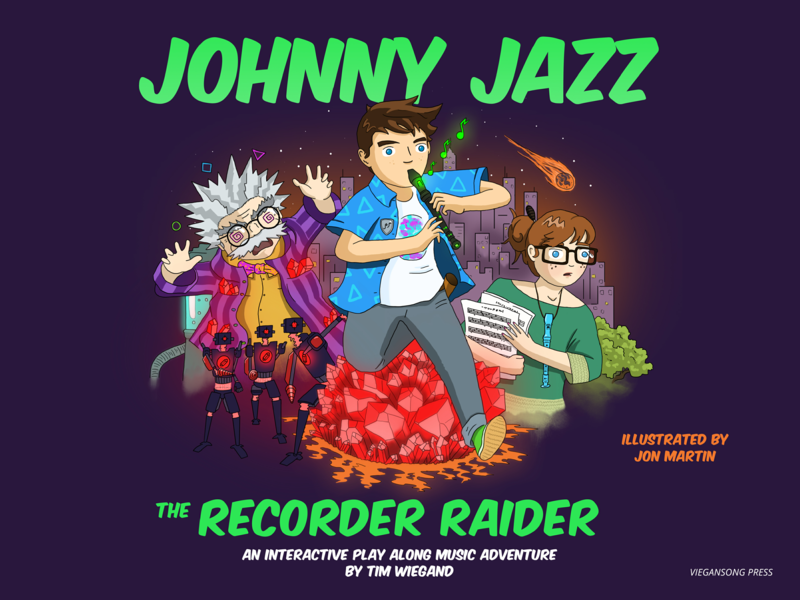 We are proud to announce Tim's new recorder curriculum Johnny Jazz The Recorder Raider. In this zany, colorful adventure students help Johnny Jazz defeat the evil Dr. Tritonian while learning to read music! Would you like to purchase Johnny Jazz? © 2019 by Viegansong Press. All rights reserved. We have a new recorder curriculum! 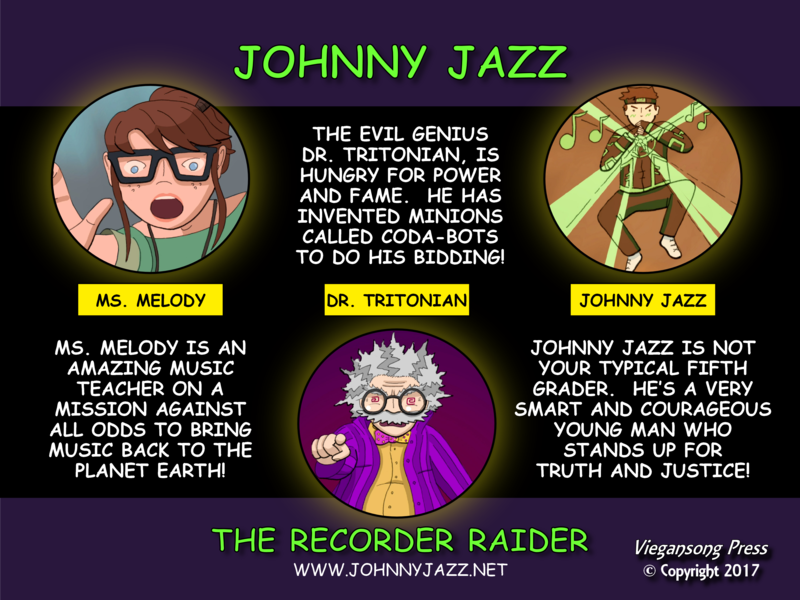 Johnny Jazz The Recorder Raider!